I arrange for various ensembles including big-band and strings, but I’m best-known for my vocal arrangements. My charts are sung by vocal groups around the world from Arnprior to Zurich. My arrangements have been noted for their fresh, innovative sound, lush harmonies, and user-friendliness. When it comes to vocal arranging, I wrote the book… literally. A Cappella Arranging, co-written with a cappella guru Deke Sharon and published in 2013 by music-publishing giant Hal Leonard, is a 300-page, 98,000-word opus on everything you could possibly ask about the subject, and is a bestseller in the a cappella community. You can buy it here. My vocal arrangements span from Bach to Stevie Wonder, from two parts to ten. 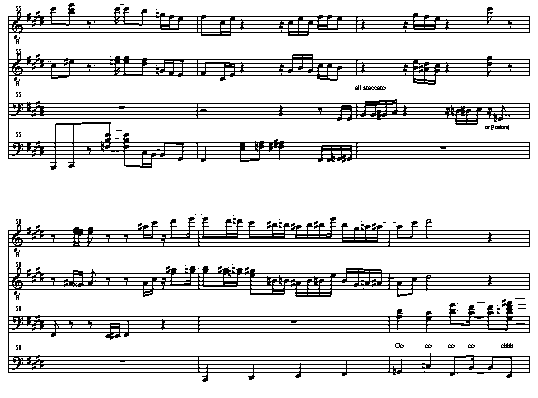 To see what arrangements I’ve written, it’s available as a pdf, or as a sortable Excel spreadsheet. The list changes faster than I can update, so if there’s something you want, just ask. I can also write custom arrangements for existing professional ensembles or for “on-demand” projects such as albums, film and television, and jingles. As a professional vocalist and vocal coach, I understand what singers need for a full-sounding but easy-to-sing chart, and can write according to detailed specifications of time, genre, and voice type. Rates vary by project so contact me for an quote based on your needs. Along with fellow vocalist Suba Sankaran I can make Learning Tracks for any charts you might have. You send ’em, we sing ’em… with separate mixes for each voice part. Learning tracks are beneficial in many ways. For amateurs and professionals alike (even strong sight-readers), learning tracks can cut down rehearsal time by about 75%, and I now use them with all my professional groups. Not only is the learning process faster, but it’s much easier for singers to practice on their own, arriving fully-prepared for rehearsals. Once you try them, you’ll never go back!